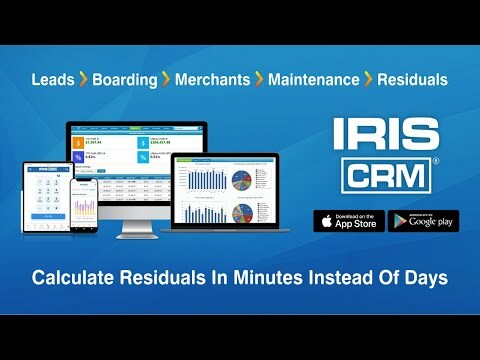 IRIS CRM is a cloud-based automation software that calculates residuals, tracks prospects and works with different payment processing networks to manage merchant portfolios. With residual income reporting, users can easily calculate residual income in minutes and also receive a complete overview of income. Agents can be paid directly through ACH and residuals can be managed from any payment processor. Users can even track their growth and profit on both portfolio and merchant levels. Users can then empower teams to make decisions based on cents and dollars of an amount. With a built-in dialer, users can build a full-featured call center to replace their current phone system. The dialer offers features such as accelerating sales performance, real-time reporting and monitoring, reviewing and measuring agent production, and downloading call recordings. The platform also includes a speech recognition feature. With this, users can instantly transform spoken words into accurate text. It also improves team performance by eliminating redundant manual data entry. The electronic signature feature allows users to eSign new accounts from anywhere in the world. This also eliminates delays caused by incomplete applications. With the visitor tracking feature, users can reach out to clients with a perfectly timed email and call. It also enables users to see what their prospects are clicking on, which improves lead quality and helps close more deals. Great product over all. Used it for 10+ yearsEasy to use and helpful when keeping track of our leads and accounts. Easy to note accounts and build profiles. Easy to use and helpful when keeping track of our leads and accounts. Easy to note accounts and build profiles. Unlike some other CRM software this does not help track residuals, payouts or commissions. • Allows users to track sales related activities such as notes added, new accounts, emails sent, and more. • Users can create professional proposals easily and view merchant savings, ISO and effective rates while creating proposals. • Proposals support tiered, interchange and ERR pricing formats and can be shared with, viewed and edited easily by the team. • The speech recognition feature improves the team’s performance by eliminating the redundant manual data entry. • The user can track their growth and profit on both portfolio and merchant level. Below are some frequently asked questions for IRIS CRM. Q. What type of pricing plans does IRIS CRM offer? Q. Who are the typical users of IRIS CRM? Q. What languages does IRIS CRM support? Q. Does IRIS CRM support mobile devices? Q. Does IRIS CRM offer an API? Yes, IRIS CRM has an API available for use. Q. What other apps does IRIS CRM integrate with? Q. What level of support does IRIS CRM offer?